How do you add natural light to a green profiled, high security governmental building? A governmental building in Malaysia needed to be renovated to be certified according to the Malaysian Green Building Index. To achieve this, exposure to daylight had to be increased to improve the environment for employees. The building is large and has thick walls, and must maintain high security standards. 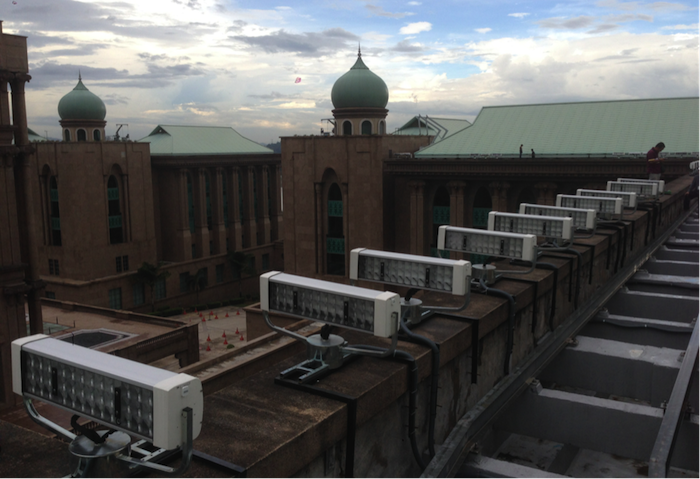 The Parans systems were placed on the roof so they could harvest sunlight throughout the whole day and bring it to areas that had very little natural light. Since Parans systems use very flexible and thin fibre optic cables, they could be installed by making only small holes in the roof or facade. The Parans system therefore fulfilled the main task of bringing satisfactory levels of natural light into employees’ working environment, without compromising with security since the small holes do not increase the risk of unauthorized access to the building.